2 to 4 p.m.: Free, outdoor musical performance by Strictly 60’s at Palmer Square Green in downtown Princeton (every Saturday in August). 12:30 p.m.: Screening of Julie Taymor’s A Midsummer Night’s Dream at Princeton Garden Theater. 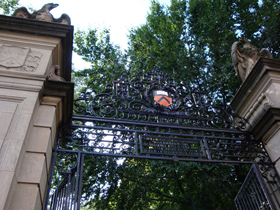 1 p.m.: Free, Carillon Concert at the Cleveland Towers at the Graduate College of Princeton University (repeats every Sunday through August 30).